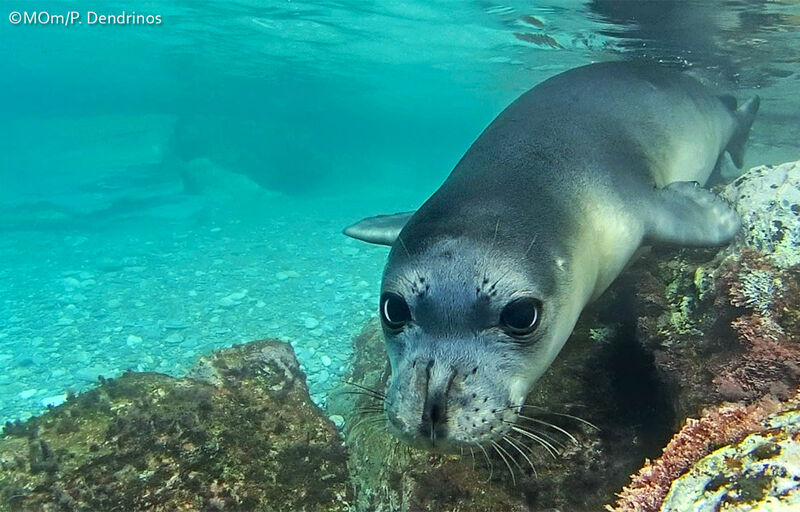 The Mediterranean Monk seal, the most endangered marine mammal in Europe! The Mediterranean Monk seal, Monachus monachus, is the rarest of the 33 seal species on the planet. It is the most endangered marine mammal in Europe, listed as critically endangered in the Red List of the International Union for the Conservation of Nature (IUCN), and thus protected through different international conventions. In Greece, the Presidential Decree 67/1981 established the strict protection of the species. 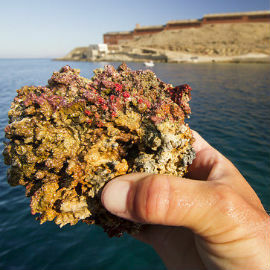 In ancient times, Monachus monachus were found from the Black Sea to the coasts of North Africa and the islands of Macaronesia. Today, Monk seals can only be found in the Ionian, the Aegean Sea and the coast of Cilicia in the north-eastern Mediterranean, the islands of Madeira in the Atlantic Ocean and the coast Cabo Blanco in Spanish Sahara. It is one of the largest seal species in the world. Adults can reach up to 2.8 m in length and weigh as much as 300 kg. Their reproduction behaviour is different between females and males, while sexual maturity is reached at 3 – 4 years of age for females and 5 – 6 years for males. Gestation lasts approximately 10 months and Mediterranean Monk seals give birth only to one pup per year (newborns weigh 15 – 18 kg), always on land. Although Monk seals spend the majority of their life in open waters, they also use caves, especially ones with submarine entrances, to rest, reproduce and most importantly to nurture their newborns. 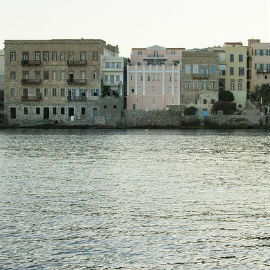 Greece hosts the largest European population of the endangered Mediterranean Monk seal and is estimated to approximately 300 individuals, which is over 50% of the total population at a global level. We thus have to focus our efforts, towards the conservation and protection of the critically endangered species. o Drowning from accidental entanglement in fishing gear. o Habitat degradation and destruction. Octopus, one of the Smartest Invertebrates of the Planet! The octopus has an impressive and complex neurological system of 50 million neurons, 2/3 of which can be found at its tentacles and not the central brain. A master in camouflage tactics, depending on its surroundings, but also its moods, the octopus can change color and texture in an instant. The octopus is one of the smartest and biggest invertebrates of the planet and one of the most interesting animals of the Greek seas. Octopuses can learn, remember, mimic, and even solve problems and are thus protected in the UK (by the Animals Scientific Procedures Act of 1886) since the 19th century. 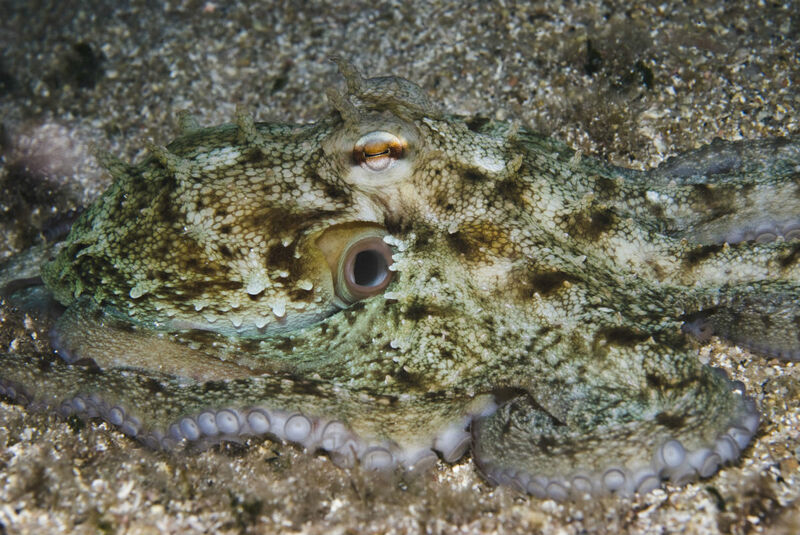 It is prohibited to use octopuses in experiments without an anesthetic. The common octopus, Octopus vulgaris, is but one of the 250 species of octopuses in the world, distributed throughout the Mediterranean and the Atlantic. It lives in depths of up to 200 meters and already from Homer’s time, they were part of humans’ diet. According to the latest scientific data, this is equally true for the Mediterranean Monk seal, who has it as the most preferred species in its diet. The “CYCLADES LIFE” project includes a series of conservation actions, both for the endangered Mediterranean Monk seal and the cephalopod Octopus vulgaris, one of the main prey items of monk seals in Greek waters. 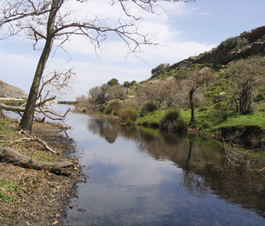 Protecting the Mediterranean Monk seal and the common octopus, is a vital action that will commence the summer of 2014 and involves the installation of approximately 1000 artificial dens at suitable locations around the island of Gyaros. The project’s team will proceed in a detailed examination of the topography of the sea bed down to a depth of 25m, in order to identify suitable locations with soft sediment for the construction of dens. The dens will be made out of ceramic and their shape and size will follow the specifications suggested by the scientific bibliography and the proposals provided by experts. The artificial dens will be bought from traditional pottery workshops of the island of Sifnos in the Cyclades Islands, which in the past had been supplying octopus fishermen with ceramic fishing pots. In parallel, visual censuses using scuba-diving gear will be performed, before and after the installation of the artificial dens in order to measure changes in the abundance of Octopus vulgaris and evaluate the success of this action. The increase in the local abundance of octopuses is expected to affect the local Monk seal population in two different ways. Firstly, it is expected to positively affect its reproductive process, as food availability around important pupping sites is considered to play a significant role in the reproductive success of female monk seals. On a long-term basis, the increase of octopus abundance around the island of Gyaros is expected to reduce the interaction between seals and fisheries and thus increase the survival rate of juvenile monk seals. The current annual reproduction rate of Monachus monachus in Gyaros is approximately 10 pups, while the annual survival rate of newborns is up to 70-80%. It is expected that survival rates will increase up to 90%, resulting in a possible 10% to 20% increase in the local population. 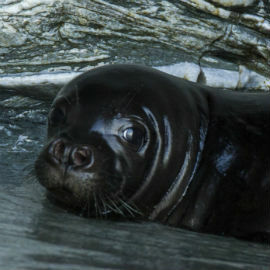 The project CYCLADES LIFE “Integrated Monk Seal Conservation in the Northern Cyclades” is supported and co funded by the financial instrument LIFE Nature, the Prince Albert II of Monaco Foundation "http://www.fpa2.com" and from the Green Fund.